Have you ever been excited by the idea of leading a group or being in charge? This comprehensive guide reveals a whole host of careers you can pursue with leadership skills you can start building today. We have all known kids who say they want to grow up to be President of the United States, but what about becoming an educational leader or the CEO of a company? There are myriad ways kids today can grow up to become the leaders of tomorrow. But the only way to get there is to start becoming a leader today. Covering everything from well-known professions like CEO, school superintendent, and government officials, to the not-so-well-known professions like becoming an entertainment leader or spiritual advisor, So, You Want to Be a Leader? uncovers a treasure trove of opportunities for kids to assert themselves now to ensure a successful future. In addition to tips and interviews from professionals in the industry, So, You Want to Be a Leader? includes inspiring stories from kids who are already leaders in their own communities, activities, a glossary, and resources to help kids on their way to a successful and fulfilling career. Imagine standing in front of a group of people and inspiring them with your words. Or working with a team of people to achieve a common goal. Are you interested in politics or law enforcement? What about social causes or the environment? Coaching? Would you like your decisions to impact education and help children? Maybe you’re more interested in working in the corporate world or dreaming up the next medical or technological breakthrough. Being a leader isn’t about bossing people around and telling them what to do. It’s not about making threats or being a jerk. A great leader is someone who inspires others to act to achieve a goal or fix a problem. You don’t have to be the president of the United States or in charge of a big company to be a leader. Leadership opportunities are everywhere. Check out what it takes to be a leader and see if you’re inspired to become the next great success—even within your own family. Do you like to set goals and figure out ways to obtain them? Are you good at getting people motivated or excited? Would you like to work with people who share your vision of success and work as a team to make it come true? A leader lights the first spark and continues to fuel the fire for the organization. Others can feed off it and continue to grow, develop, and perform. The vision is the goal or ideas a person has for an organization. A leader is the person who organizes the team to make those goals a reality. We can look at leaders throughout history and see why they were so successful. Most strong leaders are good at building relationships and at taking advantage of new opportunities. They never stop learning and are curious about new things. Whether leading a country, running a corporation, or helping others in another way, they all share a passion for what they do. See how many of these great leaders you know, and do an internet search on any who may not be familiar to you. Are you aware of your strengths and your weaknesses? Do you know what you’re really good at and what you’re really crummy at? Are you willing to ask for help when you need it and help others when they need your assistance? Do you look for new things to learn and ways to beef up your skills? A great leader knows how to use a team’s strengths. You’re not afraid to admit you don’t know everything. Using your teammates’ skills makes the entire team stronger and makes people more invested in the vision. A leader should want every member to feel important. Do you know how to make decisions and stick to them? Once you make those decisions, do you feel good about them and not spend a lot of time second-guessing yourself? Can you trust your gut feelings? Great leaders are the decision makers and need to feel good about their decisions, so their teammates feel good about them too. Sometimes leaders will use a combination of information, experience, and natural intuition to guide their decision making. Are you upbeat? Can you bring people’s spirits up when they are feeling down? Can you laugh at yourself and learn from your mistakes? A great leader knows things don’t always go as planned. A positive attitude will keep your team motivated and productivity levels high. Nobody benefits from a negative environment, and everybody will be more committed to achieving success if they enjoy what they’re doing. Are you good at building relationships? Do you know whom to talk to when you need something? A great leader builds a network of people who can help support the team’s vision. For example, if you’re trying to raise money for your school, you want to network with local businesses, parents, and school clubs to help get the word out on your fundraising project. Networking skills keep you connected to your community, friends, and other people you meet along the way. What were you doing at age ten? Most likely you were spending your weekdays at elementary school and your weekends playing with friends and family. If you were Dora Thewlis you were at work, so you could help put food on the table. Thewlis was born in Yorkshire, England, in 1890 into a working class family that included her parents and six siblings. At age ten she began working as a weaver in a mill. At this time in history many industrial jobs were worked by women and children, and the working conditions were terrible. Impoverished children had to grow up fast in these days and received minimal schooling before their parents sent them off to a factory so they could earn a living to help their families with food and home expenses. At the age of sixteen Thewlis was inspired by a speech she heard by Emmeline Pankhurst about women’s suffrage, which is a woman’s right to vote. She immediately joined the Women’s Social and Political Union (WSPU) because they were the leading organization in the United Kingdom campaigning for women’s suffrage. On March 8, 1907, the House of Commons rejected a bill allowing women who owned property the right to vote. Twelve days later hundreds of women stormed Parliament in protest. Seventy-five suffragettes were arrested including sixteen-year-old Thewlis. The next day the front page of the paper showed a shouting Thewlis being arrested by two police officers. She was nicknamed the “Baby Suffragette” because of her young age. She kept the media captivated with her confidence and strong beliefs in the suffrage movement. In prison she was treated like a child and the government blamed her actions on poor parenting. This showed the great divide between the working class and the upper class where children didn’t work, but were coddled. Thewlis became a leader within the movement of young working girls seeking the same rights and treatment as men. Their passion and hope for a better future gave them the confidence to lead women to organize and demand the right to vote. Ollie Forsyth was not willing to let dyslexia and being bullied get him down. In 2010, at the age of twelve, he began selling friendship bracelets to his family and friends. He later expanded this to an online shop to sell all types of affordable accessories. In November of 2014, he launched an online magazine called The Budding Entrepreneur, which provides tips, tricks, and inspiration to people who would like to create their own businesses. In addition to growing his business, Ollie enjoys restoring classic cars and supporting his favorite charities. Read on to find out why Ollie isn’t willing to let any obstacle slow him down in building his empire. I started my first business in 2010, Ollie’s Shop, an online gift shop for teenagers. I made the products fun and inexpensive. We sell belts, wallets, bracelets, and necklaces. Our price range is five to thirty-five pounds. I started OllieShop.co.uk. My second business I have started recently is The Budding Entrepreneur magazine, an online subscription magazine for entrepreneurs. It gives you all the tools you need as a start-up. It is fifteen pounds a year. This is affordable to most people, and by paying that, you can have your business up and going for fifteen pounds! On the site, we have all the essentials for starting a business, advice, business tools, entrepreneurial stories, and lots of celebrities! You can see the site at TBEmagazine.com. I have been in over forty newspapers and magazines, and none of those magazines gave you the steps toward starting your business. All the newspapers covered heavy content. I created something that gives you more advice, but simpler. I covered all my start-up costs before even starting! Advertising is very big! I started with nothing. I am very dyslexic and was badly bullied and cyberbullied at a school in Dorset, United Kingdom Milton Abbey School. I attend Bruern Abbey School, a special-needs school in Oxfordshire. I wouldn’t be here today without it. They helped me with my dyslexia a lot. Being bullied and cyberbullied at school has really had an effect on my life. It’s driven me to who I am today, but I never clocked in why [that] bunch of boys did it to me. I have no contact with those boys anymore. If people don’t have time for me, I don’t have time for them. Why should I? What challenges have you faced by leading a company as a teen? I have faced many challenges. My social life has been limited because I am so determined to make it to the top. My ethos has always been to work as hard as you can, and make as much money as you can, as fast as you can, for as long as you can. I say these words to myself every day since watching Peter Jones with Richard Dawson. Those are his exact words. I think having a business as a teen is great. You learn so much and network with some amazing people. I am networking with multimillionaires to successful entrepreneurs to start-ups. I will get my foot in the door to every single person who I think can help me with my business, and who I think I can help. What leadership qualities do you find are the most important when running a business? When leading a business, you are constantly in the public eye. People always want to know what you are doing. You want to lead your team with respect and to also be generous. Always give something back. I commute to my college every day. I see three to four homeless people every day. If I walk past them, I will empty my pockets and give them all my change. Why? This is not for publicity at all. It’s because nobody else is giving these unsheltered people support, so if no one else is, somebody has to keep these people fit, well, and healthy. What leaders do you look up to? I look up to many entrepreneurs, like Richard Branson, Lord Sugar, and Donald Trump. When starting a business, always have someone you aspire to be. It will make you so much more motivated. It will make you driven, and you will have the adrenaline inside you to succeed in life. What advice would you give teens who are interested in starting their own businesses? I could write a whole book on advice, but the best advice I can give is to get out there as fast as you can. If school is not your forte, get out of there, and go enjoy what you want to do.I Don’t be afraid of failure. You will fail at some point in your life, but it’s good to fail because you learn from it and you can pass the advice on to fellow entrepreneurs. My final piece of advice would be don’t let people undermine you. I was told I would never succeed in life by those bullies. Well, I am now earning in the five figures, and they are not earning a single penny. Anything is possible. You just have to put your mind to it! ♦ I always give 100 percent, even when no one is watching. ♦ My friends trust me. ♦ I always do what I say I’m going to do. ♦ People look up to me. ♦ I set goals and work to achieve them. ♦ I share my beliefs with others. ♦ I stick with things even when they get tough. ♦ I plan for my future. ♦ When I disagree with friends, I don’t let it turn into a fight. ♦ I speak up when something bothers me. ♦ I can take constructive criticism. ♦ My friends can be honest with me. ♦ My friends respect me. ♦ My friends don’t talk about me behind my back. ♦ I like to learn new things. ♦ I have the skills to lead people. ♦ I can make tough decisions. ♦ I am willing to take risks. ♦ I like to be the first to do something new. ♦ If I believe in something, I won’t take no for an answer. Add up your score and see what you can do to become a stronger leader! 1–60 Points: You are interested in becoming a leader and are ready to learn new skills. Think of steps you can take to learn something new every day. Find activities that increase your self-confidence, strengthen your communication skills, and excite you. Learn everything you can about leaders you admire and copy their behavior. Sign up for the debate team, student government, or clubs that let you practice leadership skills. 61–80 Points: You’ve got leadership skills and know how to use them. Now it’s time to fine-tune those skills. Look for new challenges where you can lead others. This may be at school, a part-time job, youth group, or a volunteer center. Along the way, ask for feedback from everyone! This will help you to make changes and improvements, so you can become a better leader. 81–100 Points: You are a leader! People look up to you for guidance and direction. You are confident and not afraid to make difficult decisions. Make sure to encourage those around you to be a part of decision making and offer input. That’s part of building a great team. Emily Raleigh had no idea when she sat down to write a high school survival guide for her younger sister that it would lead to a company with a magazine, website, conferences, and online classes. As a sophomore at Fordham University (class of 2016) in New York, she divides her time between her studies and the Smart Girls Group. In 2013, she won a Kenneth Cole Foundation AWEARNESS Grant, which is given to student-led social organizations. Currently, the Smart Girls Group consists of over two hundred girls from ten different countries ranging from high school age to twenty-five years old. Describe the Smart Girls Group. Smart Girls Group is a multiplatform community that provides products, resources, and opportunities that empower women and girls. We arm ambitious females with the tools that they need to succeed in all facets of life on their own terms, all in a unique sisterhood environment. We have a monthly digital magazine called Smart Girls Guide; a daily online magazine; campus chapters throughout the US, Canada, and Europe; online classes; an online community; online shop; book club; live events; and various leadership programs. Our goal is to provide girls with [a] Smart Girl option for everything they do throughout their day, whether that is what they read, who they hang out with, or how they spend their free time. The top priority is definitely the sisterhood aspect, which is connecting girls across the globe, and that’s definitely my favorite part about it. We have over one thousand Smart Girl Sisters working on Smart Girls Group, and they are from fifty states and forty-four countries. The Smart Girls Group idea really started when I was a little girl. I would walk downstairs every morning after putting on my outfit for school and ask, “Mommy, do I look smart?” I was raised on the concept of the Smart Girl. With that in mind, I wrote a book for my freshman sister, Sophie, during my senior year of high school that was a how-to guide for surviving and succeeding in high school. I gave it to her for Christmas, and my family really wanted me to get it published. I wanted to do something that would be more than just a book, something that was continuous. So on New Year’s Day, I made my New Year’s resolution to start the Smart Girls Group. We initially had nine girls involved and released a small magazine that we planned to only be ten pages long. Soon enough, the sisterhood began to grow, and so did our products. What keeps us moving are the girls, and we truly have a group of girls who will change the world. How do you manage college and running your own company at the same time? It definitely isn’t easy! I truly could not do what I do without my Smart Girls Group teammates. Our staff is an incredibly driven, passionate group of women who I feel very fortunate to get to work with. I have learned how to delegate and prioritize. My planner is practically an extension of myself, and I take scheduling very seriously. I’m convinced you can balance everything if you can schedule it. The key is sticking to that schedule, which can be the hardest part. What do you think makes a strong leader? A strong leader is someone who knows how to invest well. No, I’m not talking about financial investments (although that can be important for some leaders). I’m talking about life investments. Every second of every day is an opportunity to move forward. A strong leader knows how to invest his/her time in endeavors that will have the highest return on investment, whether that is empowering a team in hard times or answering emails within twenty-four hours to ensure customers feel important. Time is the most valuable asset for every leader, and the strongest leaders are those who best invest their time. What skills can students start developing now to become a leader in the future? Be a leader in every aspect of life! Don’t let others dictate what choices you make. Take on leadership roles in an organization, club, or activity that excites you. Pursue your passions, whatever they may be. Set yourself apart from the rest in all that you do. What current or past leaders have inspired you and why? So many! I have always admired my nana and pop, who are both entrepreneurs. Their dedication and drive, partnered with their ability to see life beyond work, have always inspired me. I hope some day I have my dad’s marketing skills. I’m constantly calling him, asking for advice on how we can get a new supporter or a new client, and I truly haven’t met someone who can sell something the way he can. My mom is a teacher, and her patience astounds me, and I try to channel her when I get frustrated. Outside my family, I am incredibly inspired by Richard Branson. Is there an entrepreneur who doesn’t consider him a role model? I loved reading his books, especially when I first started expanding Smart Girls Group during my freshman year of college, because his books and blog gave me a sense of confidence in my vision of Smart Girls, even if only few could see it at the time. I am deeply inspired by Lauren Bush Lauren. Her efforts with FEED are nothing shy of incredible. She was the first entrepreneur I looked to when I started Smart Girls Group, and when we started planning Smart Girls Summit, she was the first person I invited to come as a speaker. There is nothing more motivating for me than seeing another woman entrepreneur not just creating a wildly successful business but also creating major social change in the process. What advice would you give students who are looking to gain leadership experience right now? Ask a lot of questions. I have found that experienced leaders love to support aspiring leaders. Educate yourself on the paths they took to become leaders. If you admire a leader who is difficult to contact, read their interviews and books. There is so much to learn, and the more you educate yourself, the better leader you will be. I. The views expressed here are those of the interviewee and not necessarily shared or endorsed by the author or publisher. Patricia Wooster is a published author and fact-checker. She has written several nonfiction children’s books and was nominated for Science Books & Film Best Children’s Books of 2011. 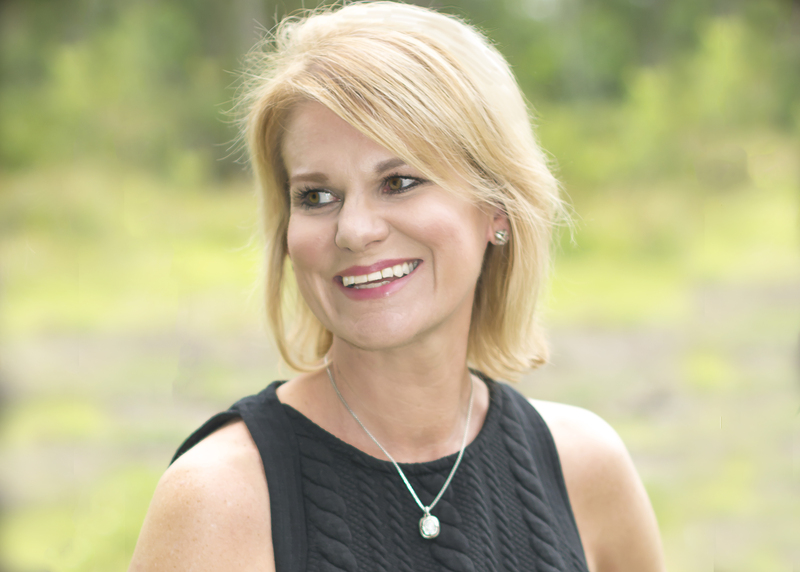 She lives in Tampa with her husband, Scot, and two boys, Max and Jack. This motivational guidebook, part of the Be What You Want series, focuses on leadership roles in areas including law enforcement, government, nonprofit work, environmental protection, and education. Wooster explores ways readers can hone their leadership skills, starting within their schools and neighborhoods, while encouraging them to think long-term (“Have a game plan on how you’re going to develop the skills you need to succeed in your career interest”). When possible, she includes resources for those who want to start making career strides—for example, a list of youth programs in law enforcement, including the CIA’s internship program and the National Student Leadership Conference. And q&as with young entrepreneurs, filmmakers, and activists reinforce the book’s can-do, grassroots philosophy, while words of advice from adults emphasize the importance of bringing motivation, empathy, and inspiration into positions of leadership. Ages 8–12. 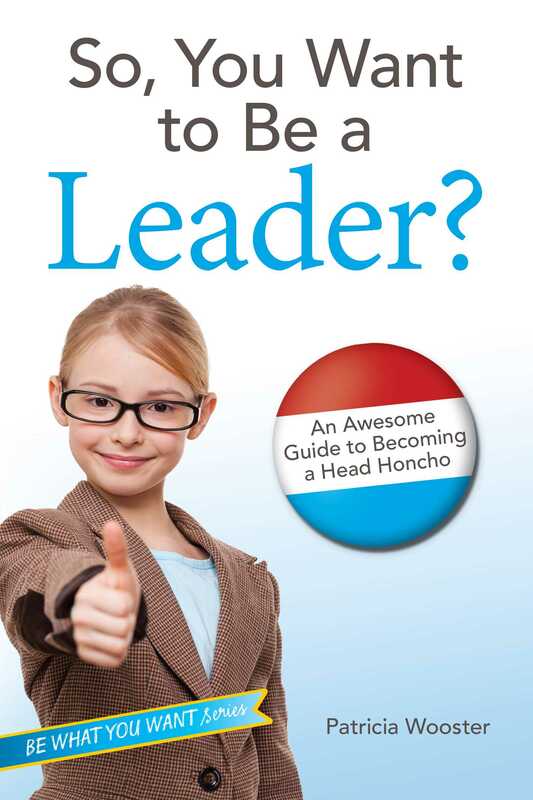 Book Cover Image (jpg): So, You Want to Be a Leader?